HDMI 2.1 was just officially detailed in a press release. The new specification will be able to handle higher refresh rates and resolutions such as 8K@60Hz and 4K@120Hz, but this is just the tip of the iceberg. Dynamic HDR will make sure that customers don’t have to tweak every single game or movie on their own. HDMI 2.1 also introduces variable refresh rate to TVs in something called “Game Mode VRR”; this could potentially introduce variable refresh rate on console if, for example, Microsoft’s Scorpio hardware supported HDMI 2.1. The new 48G cables will enable up to 48Gbps bandwidth for uncompressed HDMI 2.1. This new release of the specification offers a broad range of advanced features for enhancing the consumer entertainment experience, as well as providing robust solutions to the commercial A/V sector. This is part of the HDMI Forum’s continuing mission to develop specifications for the HDMI eco-system that meet the growing demand for compelling, high-performance and exciting features. The new specification will be released in Q2 2017. In the meantime, take a look at the full feature set of HDMI 2.1 below as well as additional FAQ provided by the HDMI Forum. 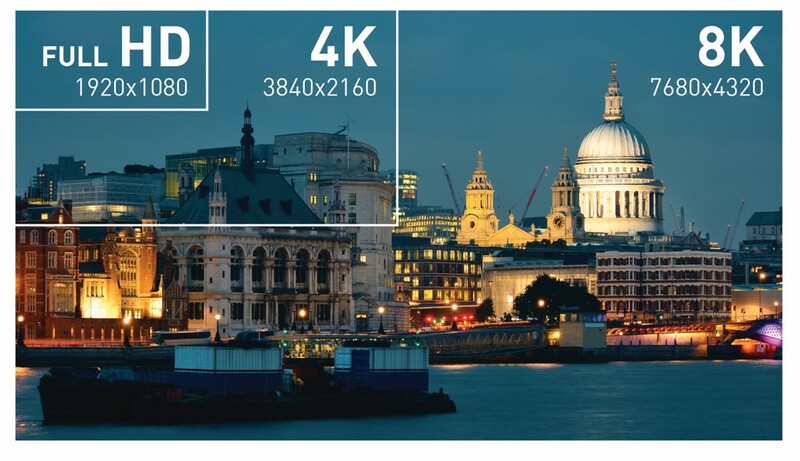 Higher Video Resolutions support a range of higher resolutions and faster refresh rates including 8K60Hz and 4K120Hz for immersive viewing and smooth fast-action detail. Dynamic HDR ensures every moment of a video is displayed at its ideal values for depth, detail, brightness, contrast, and wider color gamuts-on a scene-by-scene or even a frame-by-frame basis. 48G cables enable up to 48Gbps bandwidth for uncompressed HDMI 2.1 feature support including 8K video with HDR. The cable is backwards compatible with earlier versions of the HDMI Specification and can be used with existing HDMI devices. eARC supports the most advanced audio formats such as object-based audio, and enables advanced audio signal control capabilities including device auto-detect. Game Mode VRR features variable refresh rate, which enables a 3D graphics processor to display the image at the moment it is rendered for more fluid and better detailed gameplay, and for reducing or eliminating lag, stutter, and frame tearing. What are the support resolutions and frame rates? A: While existing HDMI High Speed Cables with Ethernet can deliver some of the new features, the new cable is the best way to connect HDMI 2.1 enabled devices to ensure delivery of all the features. Q: What connectors does this cable use? Q: Does the cable have an Ethernet channel? A: Yes it supports the HDMI Ethernet Channel. Q: Can this new cable work with existing HDMI devices? A: The cable is backwards compatible and can be used with existing HDMI devices for the delivery of legacy HDMI features. Q: Does this Dynamic HDR require the new 48G Cable? Q: Does the specification support the various HDR solutions? Q: Is this accessible via a firmware upgrade? Q: Is this available through a firmware upgrade? Q: Does this require the new HDMI cable? Q: Will this work with 8K@60 or 4K@120Hz? Q: Is this primarily for consoles or will PCs utilize this also? A: It can be used for both. Q: Will this result in more gaming PCs connecting to HDMI displays, either monitors or TVs? A: The intent of the feature is to enable HDMI technology to be used in these applications. Given that HDMI connectivity already has a strong presence in this area, we expect that use of HDMI technology in gaming will continue to grow.